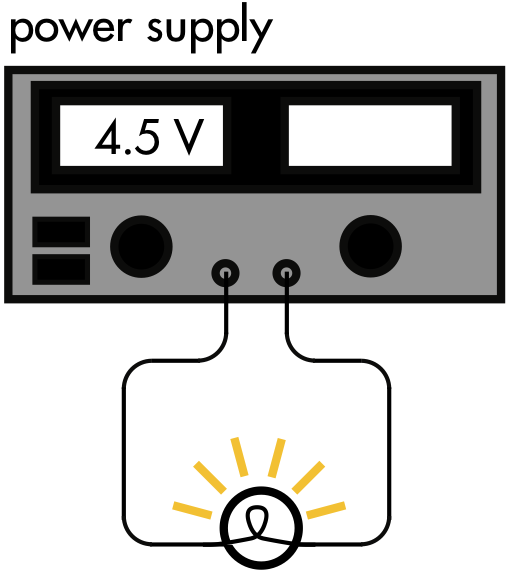 A power supply with a built-in voltmeter is connected to a light bulb. When 4.5 V is applied to the light bulb, it uses 1.8 W of power. When the voltage applied is increased to 5.0 V, the light bulb then uses 2.0 W of power. Demonstrate how these measurements show that the light bulb is non-ohmic (that is, its resistance is not constant). 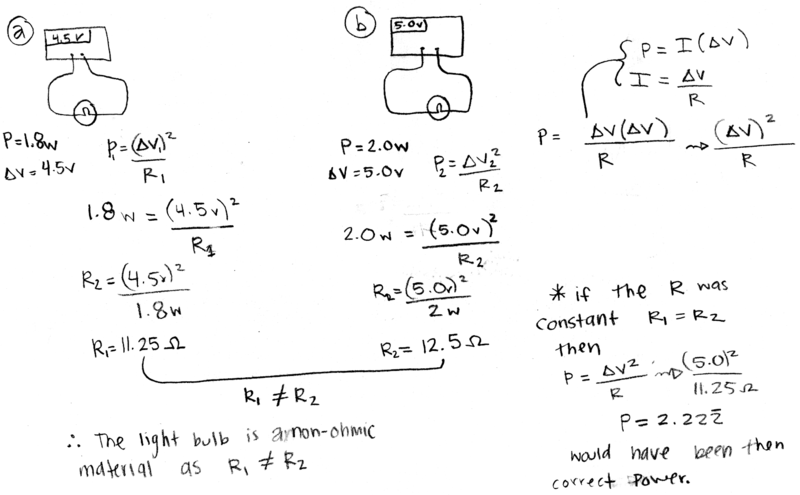 Explain your reasoning using Kirchhoff's rules, Ohm's law, and properties of electrical power. Correct. Demonstrates that the resistance of the light bulb is not constant by calculating the different values it has for each different applied voltage value. Implementation of right ideas, but in an inconsistent, incomplete, or unorganized manner. Some attempt at applying Kirchhoff's rules, Ohm's law, and properties of electrical power. Implementation of ideas, but credit given for effort rather than merit. No clear attempt at applying Kirchhoff's rules, Ohm's law, and properties of electrical power.